Libreboot (LB) is an open source BIOS replacement derived from Coreboot (CB) which I already covered in a recent article. Unlike CB, LB is entirely free (or "libre") from any proprietary code. Getting it to your device is somewhat easier as there are already precompiled BIOS images (albeit only for a limited number of devices). 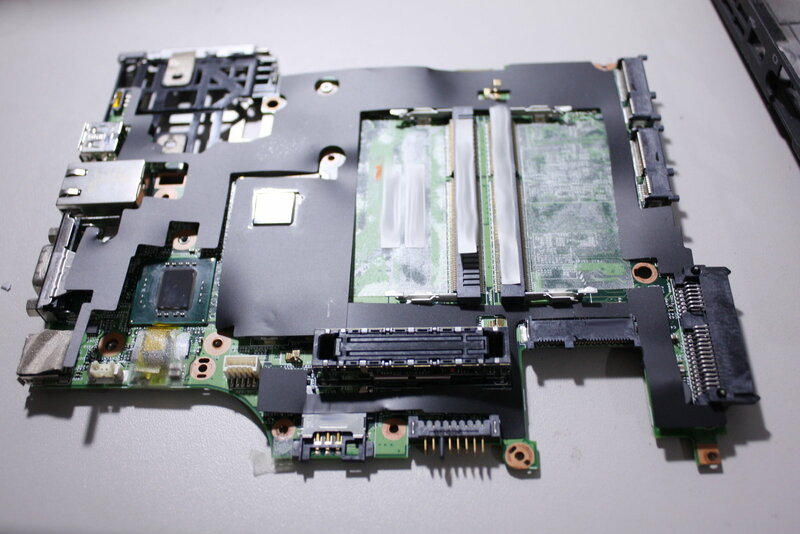 In this article I will describe preparing and flashing an image to a Thinkpad X200s (the even lighter version of the X200 with longer battery life but less CPU power). 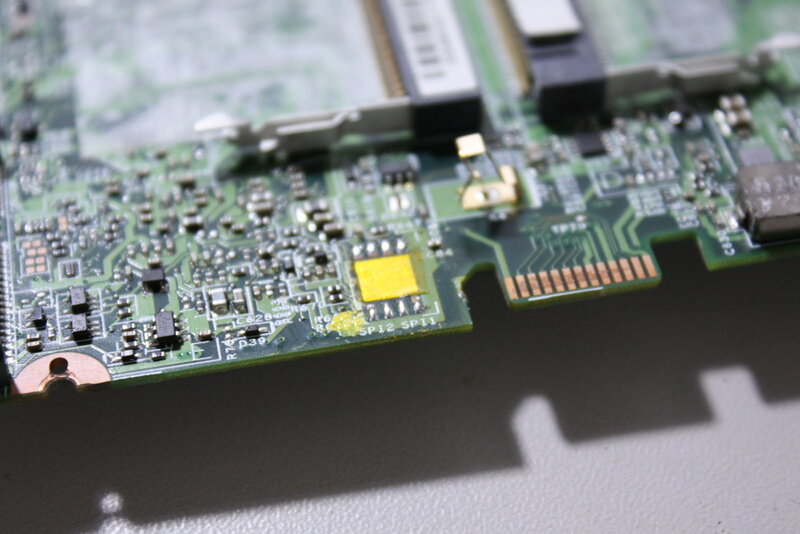 - you will inevitably lose your reseller warranty if you have recently bought your X200s. - you will lose the F1-BIOS including all its options like setting the time, configuring boot options and so on - it will all be gone. 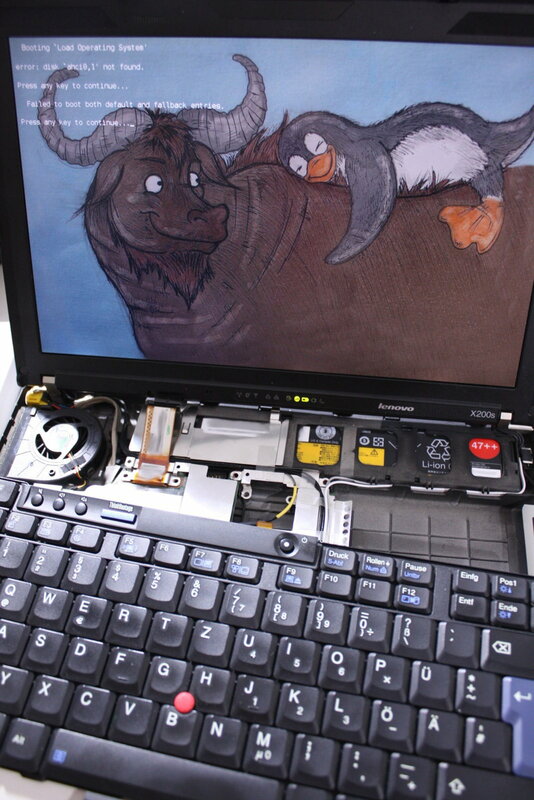 - you *might* encounter some trade-offs while using your X200s (e.g. during booting or with external displays). If you don´t plan to compile LB from source, you will only need the ROM itself ([latest_version]rom/libreboot_x200_8mb.tar.xz and the LB utilities ([latest_version]/libreboot_util.tar.xz). 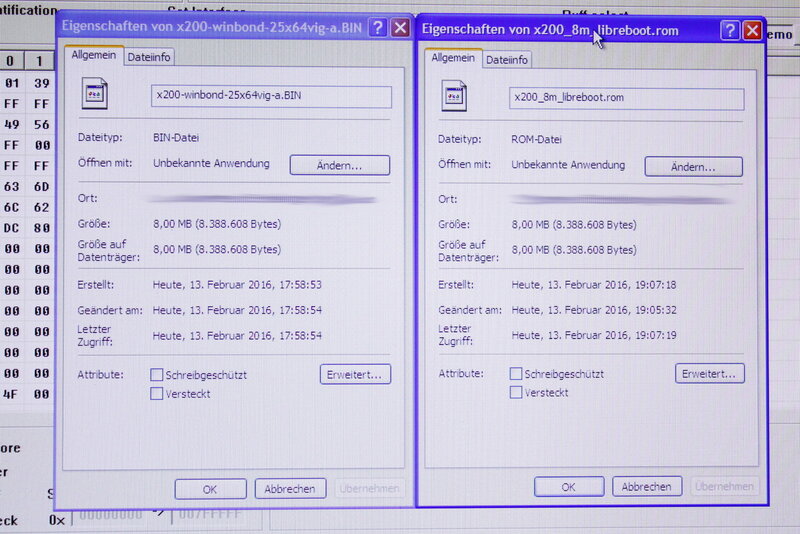 Extract both files, get to the x200_8mb folder and take the x200_8mb_usqwerty_vesafb.rom file from there (for a standard qwerty-like keyboard layout...or qwertz, too) and copy it to the extracted libreboot_util/ich9deblob/x86_64 folder. cd into this folder. 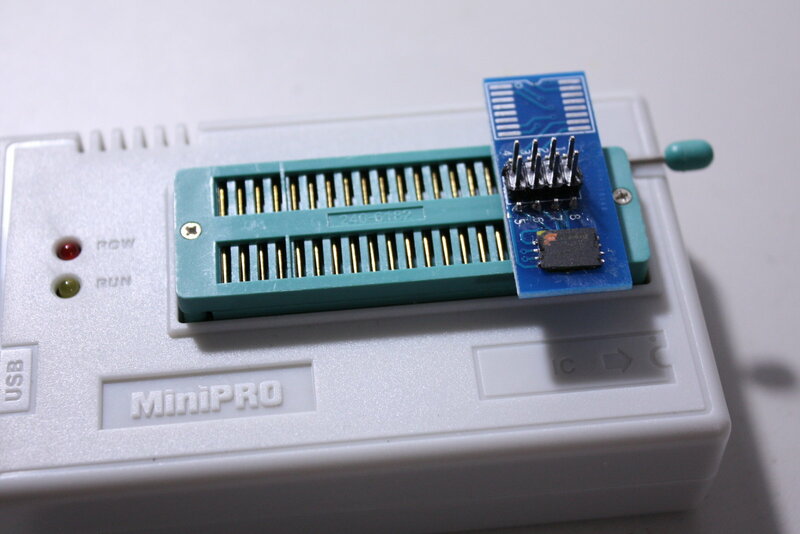 I used a MiniPRO by Autoelectric EEPROM flasher to write LB to the Thinkpad´s flash chip. 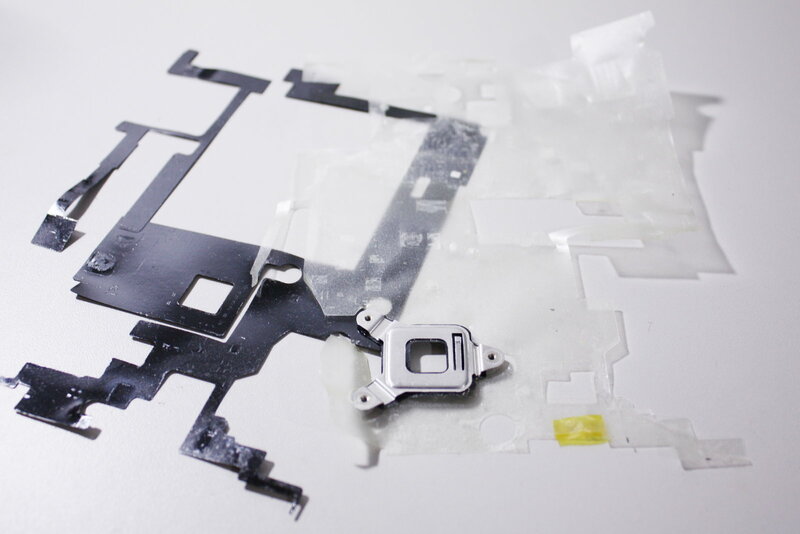 This required to fully disassemble the X200s and to desolder the flash chip. 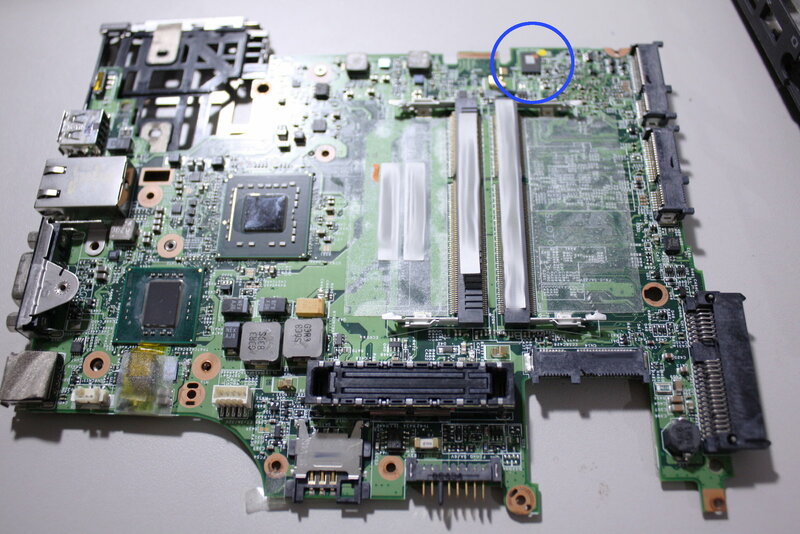 The BIOS chip lies next to the RAM sockets (blue circle). 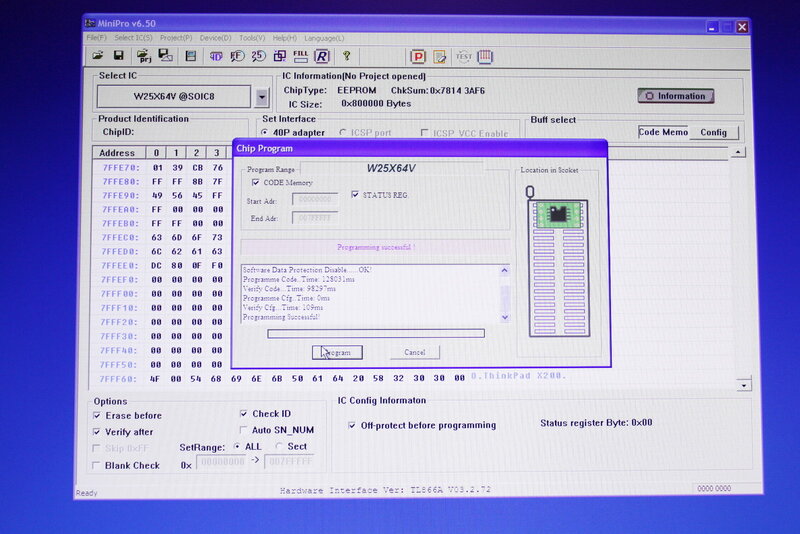 Select the Winbond 25X64V (SOIC8) in the MiniPRO software, read its content out - two times just to be sure - and save the resulting files to a secure place (maybe you do not want to keep Libreboot?!). 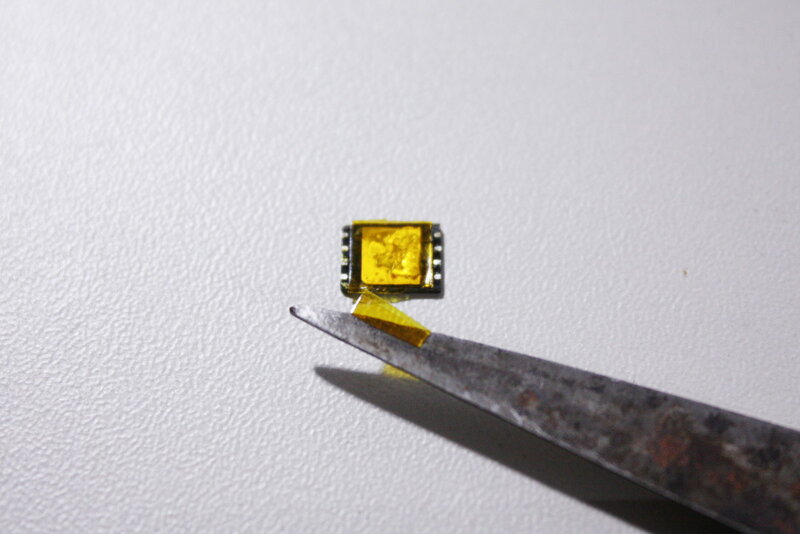 Finally, clean the solder joints underneath the chip from the remaining solder, shield the larger area in the middle with Kapton tape and use lead-containing solder for resoldering (a possible future removal becomes much easier this way). 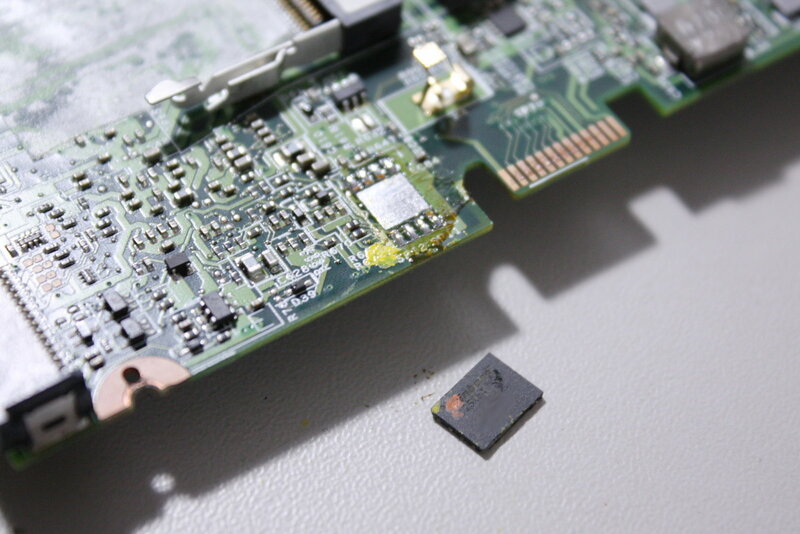 If you want your X200s to be really free, now is a good time to remove the WWAN adapter (always requires proprietary code) and to get an Atheros AR5B95 WiFi card (it has an open source driver). As an operating system, Trisquel or Parabola should work out of the box with the X200s. Be sure to try them out first using an USB stick with a live system.